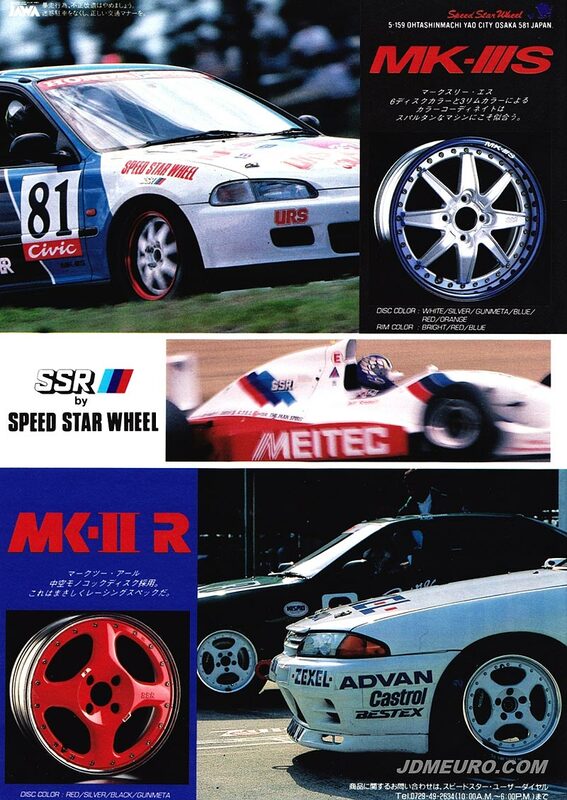 The SSR MK-IIIS & SSR MK-II R from Speed Star Racing were JDM Wheels based on older wheels from SSR. The SSR MK-IIIS is a design based off the olderSSR MKIII with its bigger spokes and alternating smaller 4 spokes. The updated version of the SSR MKIIIS has a full face on a reverse lip as opposed to the older small face on stepped lip. The SSR MK3 are pictured on a Honda Civic EG Series. The SSR MK-IIR has four rounded spokes also in a reverse lip, as opposed to the older SSR MKII which has four spokes but squared matched with a step lip. The SSR MK2R pictures are on a Nissan Skyline R32. Interestingly, I wonder if The SSR MKI had a modernized Version.